Thank you for this interview it is an honour for me to interview such a Legend…. What did you want to do when you were at school for a career and what was your first job? I wanted to be a games designer! And my first real job was as a computer programming trainee. A combination made for what followed later. As a kid I used to create games as a hobby. Mostly board games. The IBM mainframe was your first computer is that your favourite computer? Now, it is iPhone, because I am most familiar with it, then it was Amstrad CPC. When and how did you to get into game industry? The only way when I started. I just did it myself. There were no significant games companies. It was all mail order hobbyist. 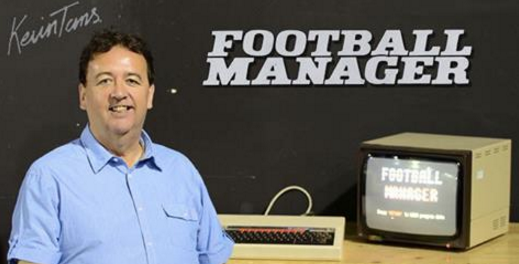 You worked on Football Manager in 1982 what inspired you to make such a game? 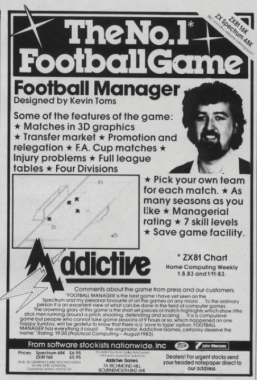 I had invented many Football Management board games. Did anyone help you make the game? No. I had all the skills needed. I understand you gave up work due to the success of Football manager please explain how this happened? :). 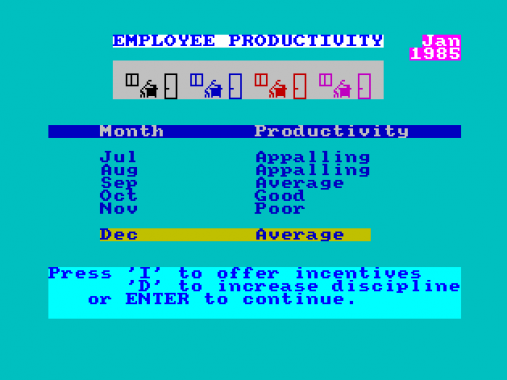 I was earning 8,000 pounds a year as programmer. I made one sale to a high street chain for 30,000 pounds. That was the trigger! 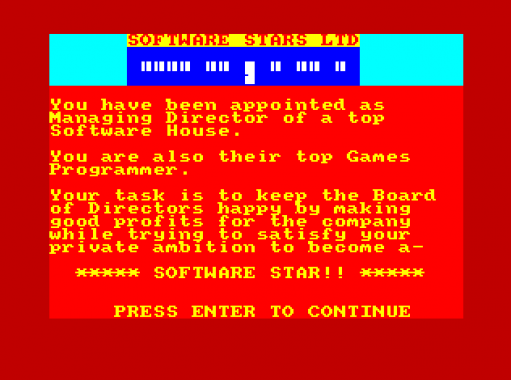 Software Star was your second game how long did this take to make and was it hard to try and follow the success of Football Manager? It was hard because I was also running the business at the same time. But a lot of people like that game, I played it on emulator a few years ago and it was fun! What was your favourite game you made at Addictive? Spectrum Football Manager. The first one with graphics. I think it took me about six weeks to convert the ZX81 version. 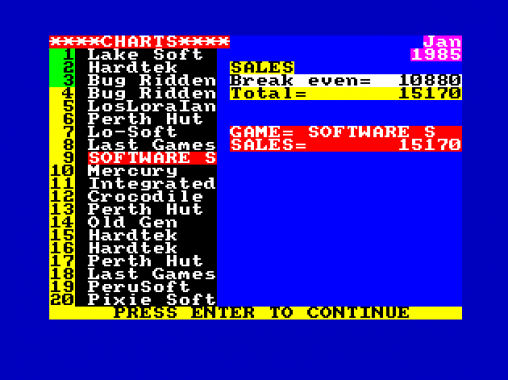 There was something special about how that came together, but the base game on the ZX81 was already very playable. What is the funniest thing and most frustrating thing that happened to you at Addictive? Well one thing comes to mind. 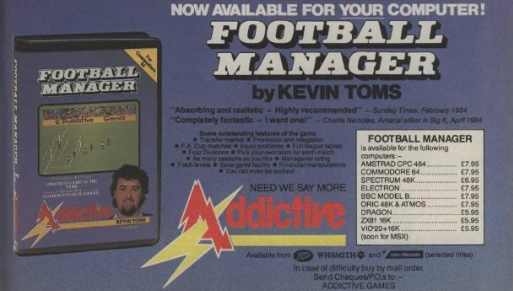 Football Manager was on every format that came out, every games computer just about. We kept converting the game. 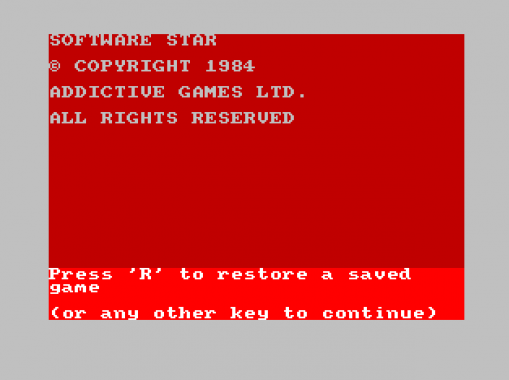 But we could never put out the Oric game. There was an Oric 1 and and Oric Atmos. But the manufacturing of those computer was so bad we never could get 2 machines the same and be sure it would work! Hang on that is more the funny thing. I will say something else for frustrating. Well the same thing really, there were so many computer types to write for. The market was terribly fragmented it was such a new industry. 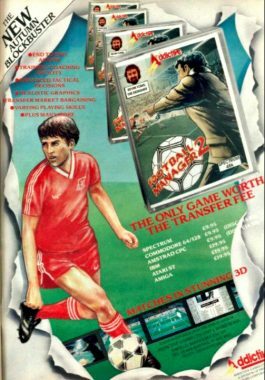 In the end it became more certain with Sinclair, Commodore etc. But at first there were always new computers coming out. All incompatible with each other. All fragmenting the market. For example Commodore 64, Commodore Vic 20, Commodore 16, Commodore plus 4. I manufacturer each machine needed a different version. 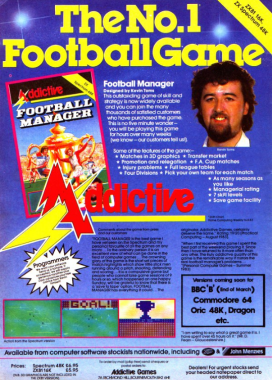 Did you have a team at Addictive? 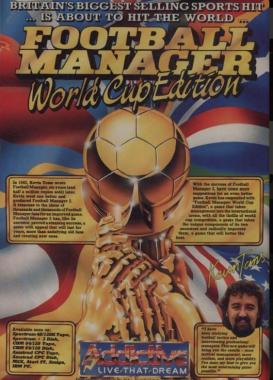 I am so excited that you are making a new version of Football Manager please tell me why you decided to bring it back and how long have you been working on the new version? I just thought of it, put the idea out online, and people jumped on it as an idea. I tried a Kickstarter, and although that didn’t work I carried on in my spare time. It took a year almost exactly to complete. Why did you stop making games after 1990 what have you been doing since? Mostly it was financial I was working for other people and repeatedly did not get paid. The second reason was I was a bit burned out from the workload. Tell us what your next project will be after this? 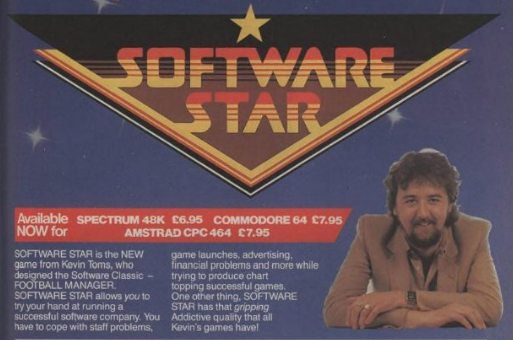 Not sure but another go at Software Star would definitely be fun. I enjoy some modern games but feel more love for the smaller teams of the past I feel the fun factor has gone in modern games and are more like movie productions; games can be bug ridden now as patches can be made. in the past we didn’t have updates and in app purchases. What is your view of our industry now? I never was drawn to the big studio industry. Gameplay is my driver, and I have found that needs me doing it all myself. I write the game, build the mechanics then I tune, tune, tune to make it more and more fun. My favourite computer was my Amiga and my favourite console the Megadrive do you have a favourite? I was more a writer than a player. So I when I played I liked something mindless and often 3D going in to the screen. I am trying to trawl up an arcade machine game into my mind. Buck Rogers Planet of Zoom or something corny like that! Nope not lately. I am not interested in working hard to learn to play a game. The last I enjoyed was Nintendo 64 Mario Kart. Really simple stuff!